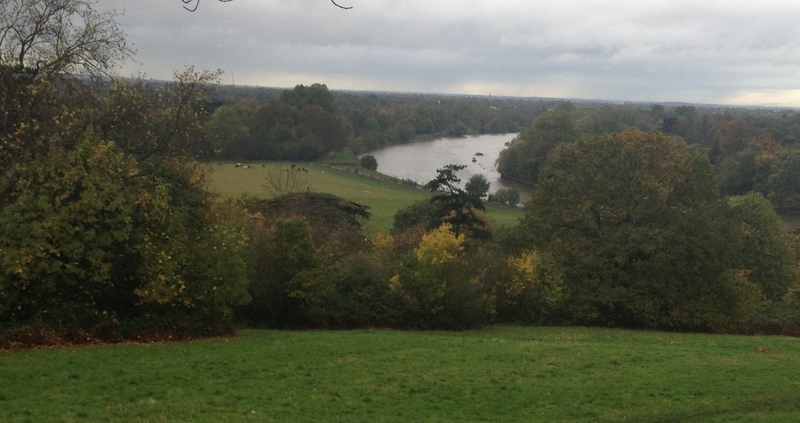 A Roman Camp in snow and mist, a 62 mile week, autumn runs along the Thames and yes more deer! 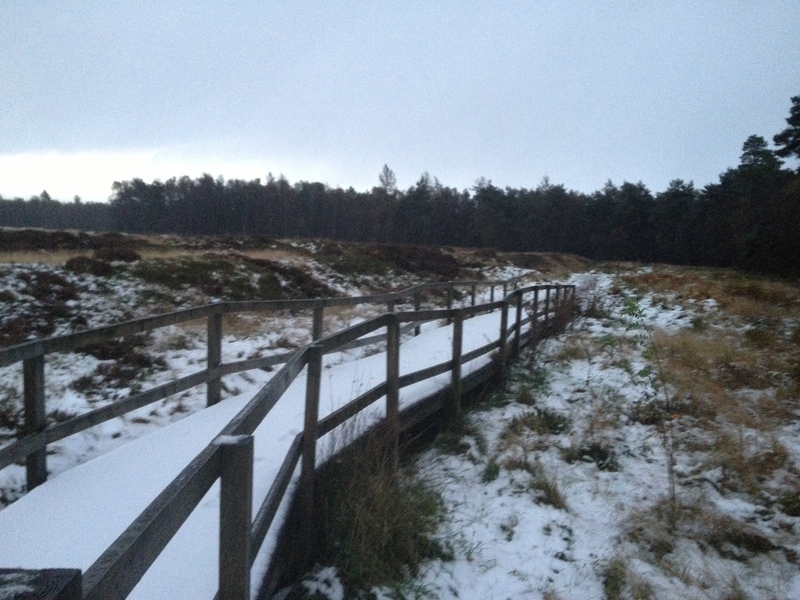 I can’t believe its almost a month since my last blog post. 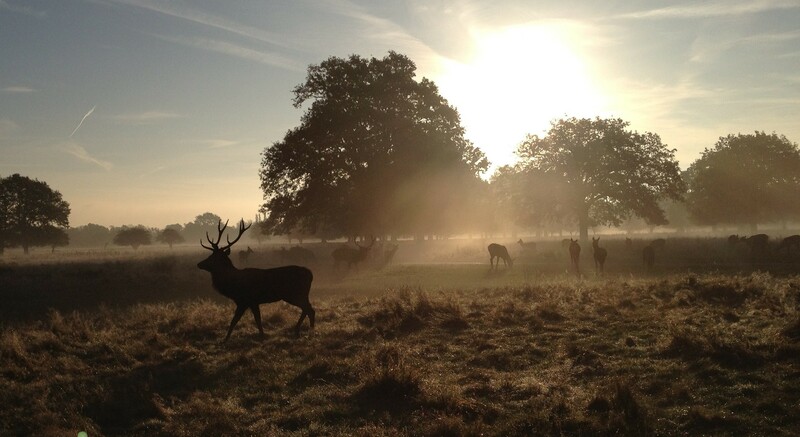 I’ve had a quite a number of early morning 10 and 14 mile runs through Bushy Park and along the Thames to Richmond with the obligatory deer of course. 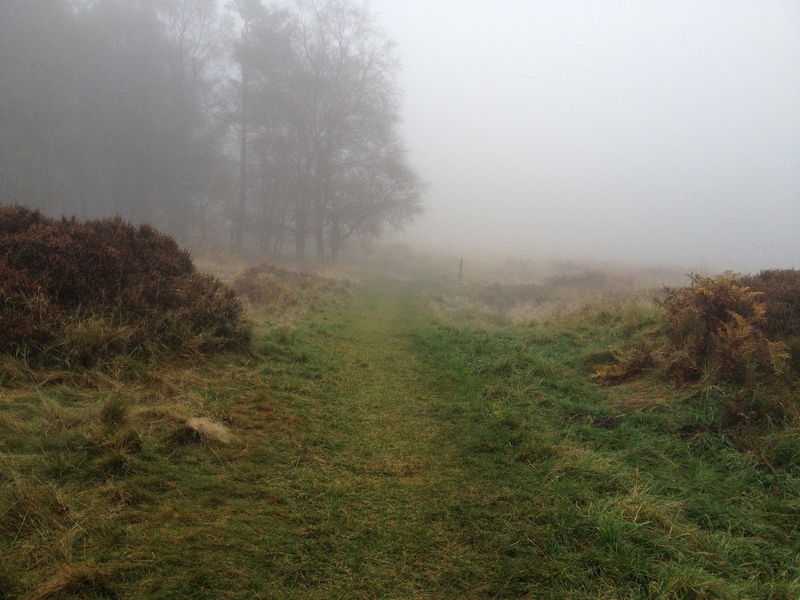 My highest mileage week was 62 miles, partly due to a 23 mile Sunday morning run (6:30am start!) with my neighbour James where we ran through Bushy, Kingston, along the river to Richmond Park, where we did a lap and then ran back along the river to Teddington Lock and back home via Teddington. Unfortunately it was pouring with rain for most of it so we ran through an awful lot of mud which can be pretty challenging in Huaraches. 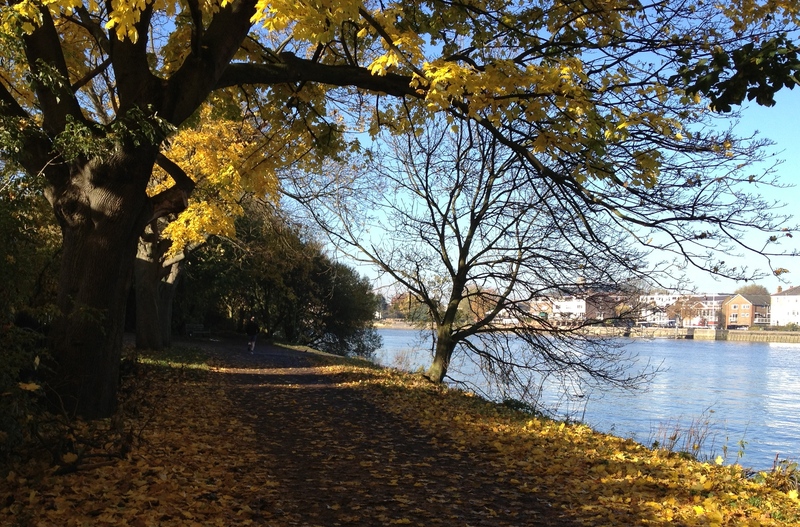 Finally my run last Sunday was a beautiful autumn 15 miles along the Thames from Chelsea to Barnes and back whilst my Son Sam was doing his usual Sunday Judo training at The Budokwai. 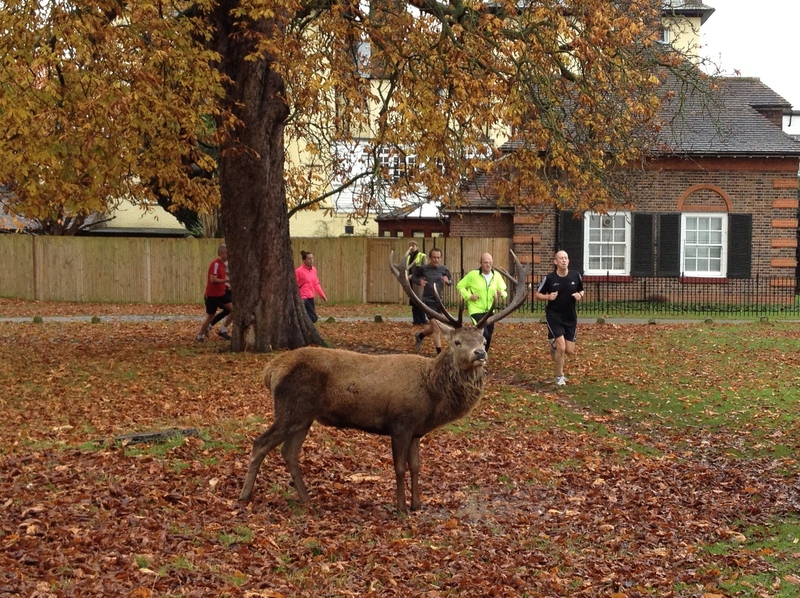 Oh, and here’s one from Saturdays Bushy parkrun where one of the course marshall’s looked a bit more fierce than usual. This entry was posted in parkrun, Training and tagged Bushy Park, Deer, Luna sandals, Parkrun, Thames Path, Training by bfpete. Bookmark the permalink.